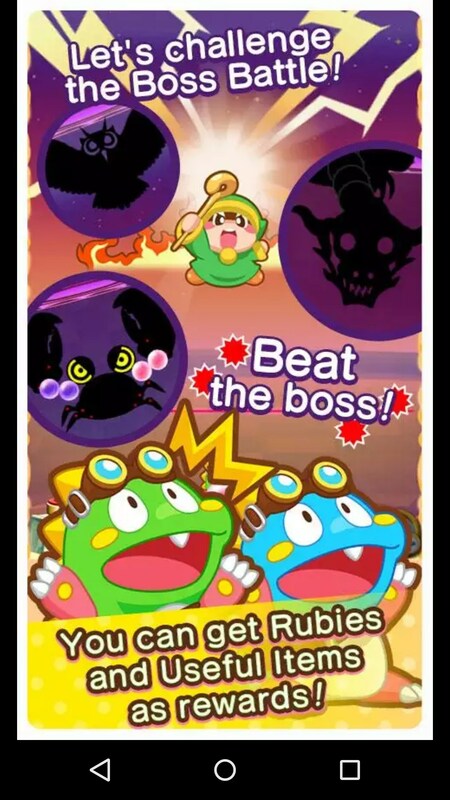 LINE Puzzle Bobble – Games for Android 2018 – Free download. 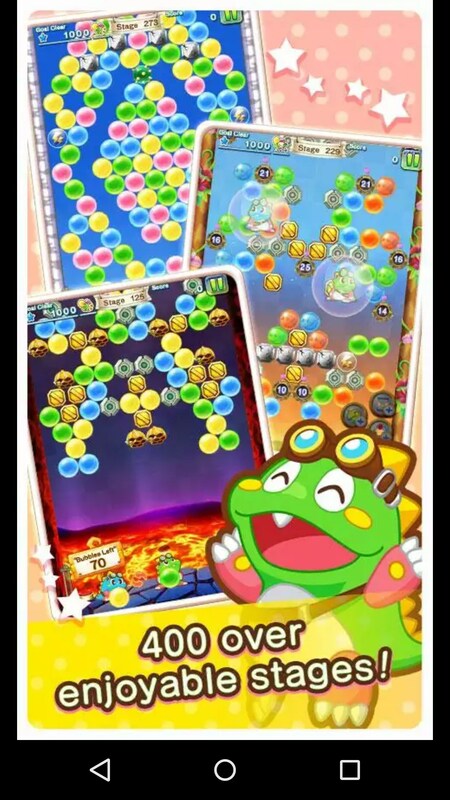 LINE Puzzle Bobble – Funny shooting colored balls. 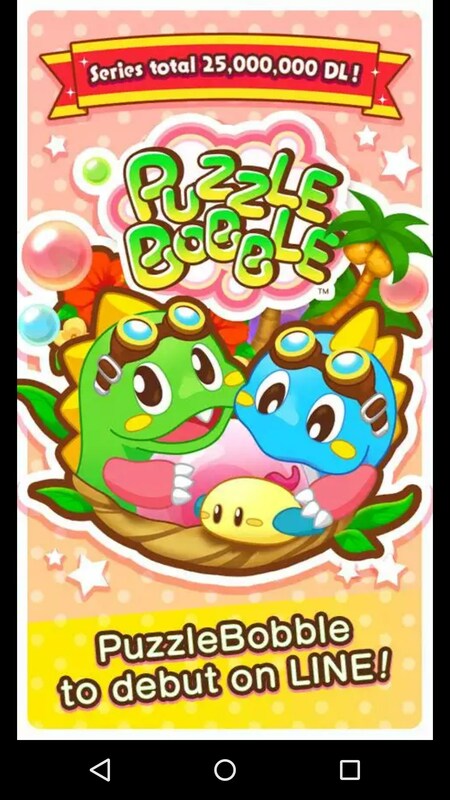 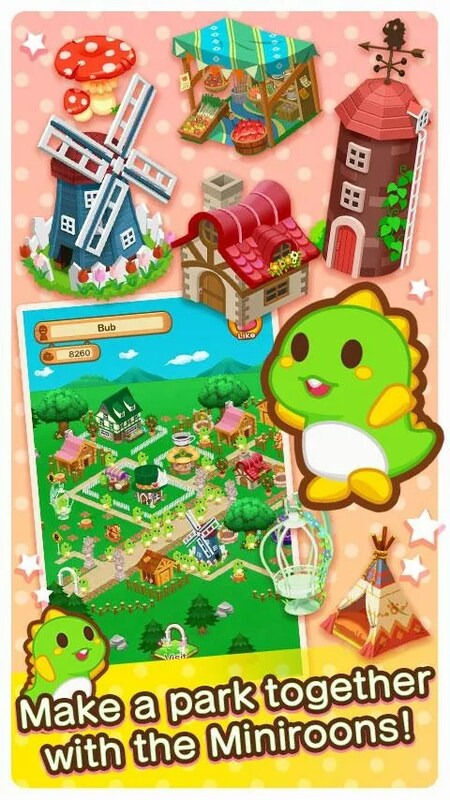 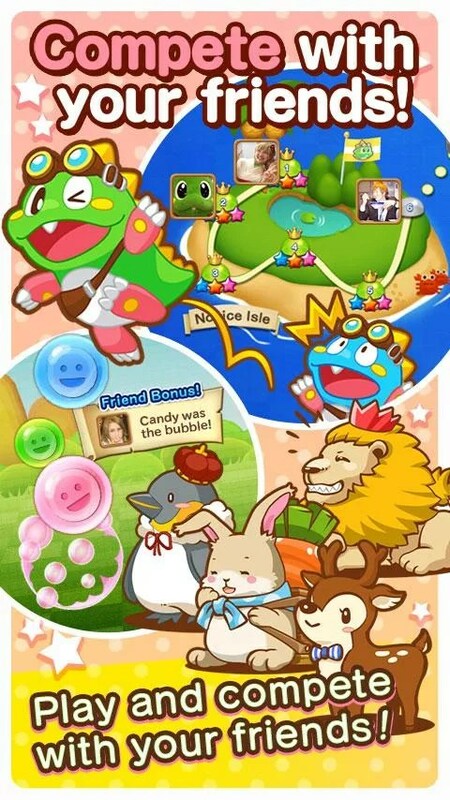 Puzzle Bobble for Android is a bubble pop game that you need to have LINE to play, and which forces you to log in through your LINE account. 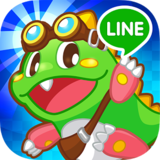 If any of your LINE contacts have played it, you'll be able to compete with them in the weekly ranking and high score. 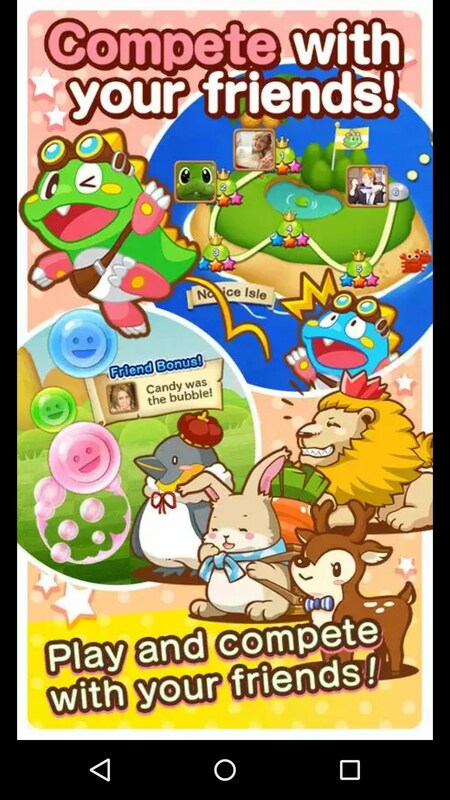 It takes a long time downloading game data when you first open it, which made me think it might be hogging space. 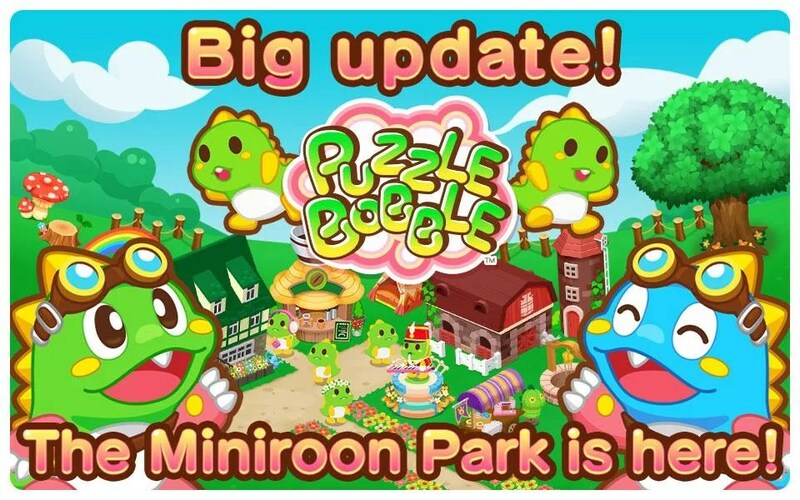 It's total footprint is 91mb; which isn't exactly lightweight, but it could be a lot worse. 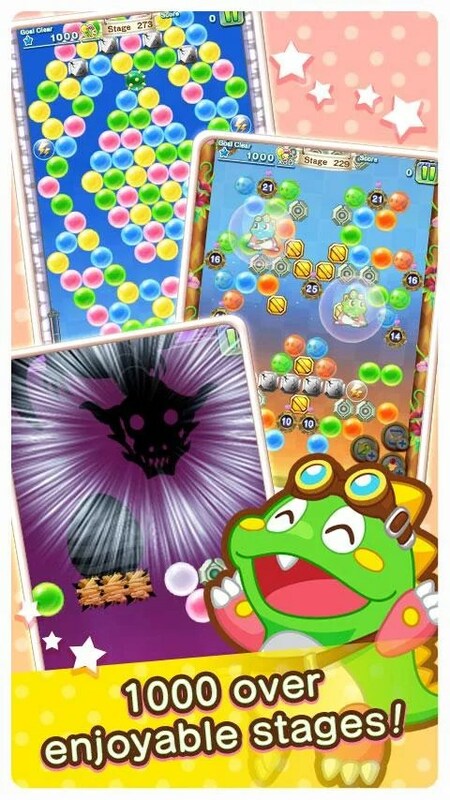 One difference between this and other bubble pop games is that you can't see the full line where your ball is going to go. 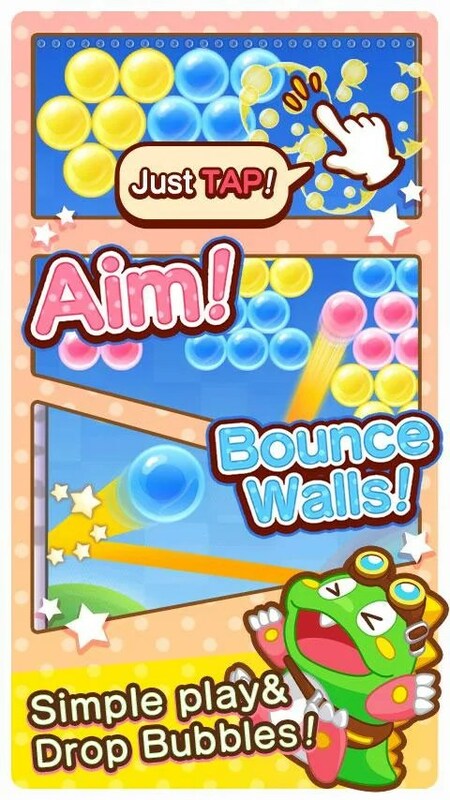 But you can tap anywhere you want the ball to go. 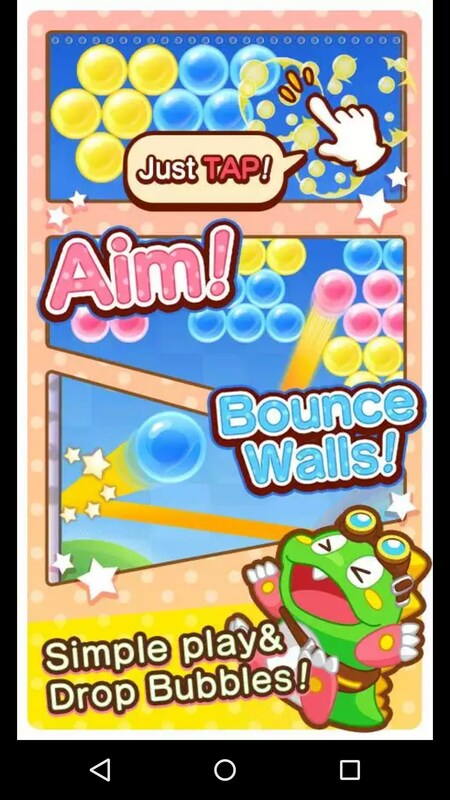 This makes direct shots easier, and bouncing shots more difficult. 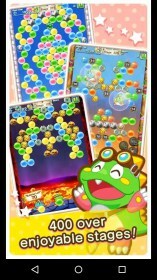 But it's in the bouncing where you can score mega points; by knocking everything down with plenty of shots to spare. Another difference is you are aiming to rescue some birds ('clacin') trapped in some of the bubbles. 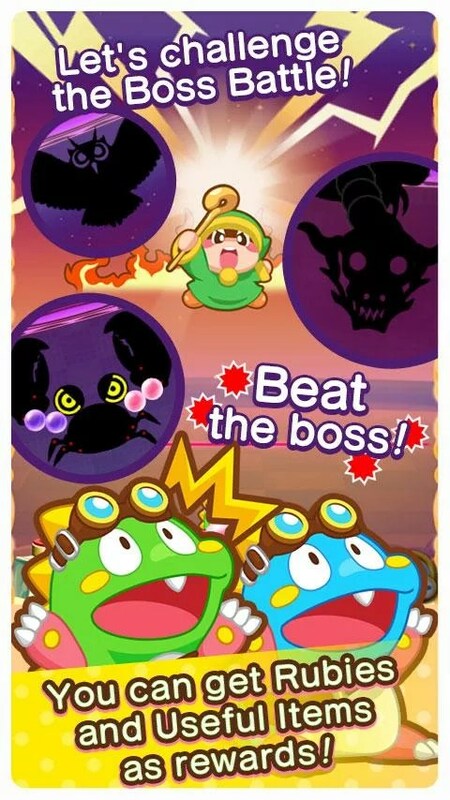 Like all these games, you can alternate the color with the next upcoming one. 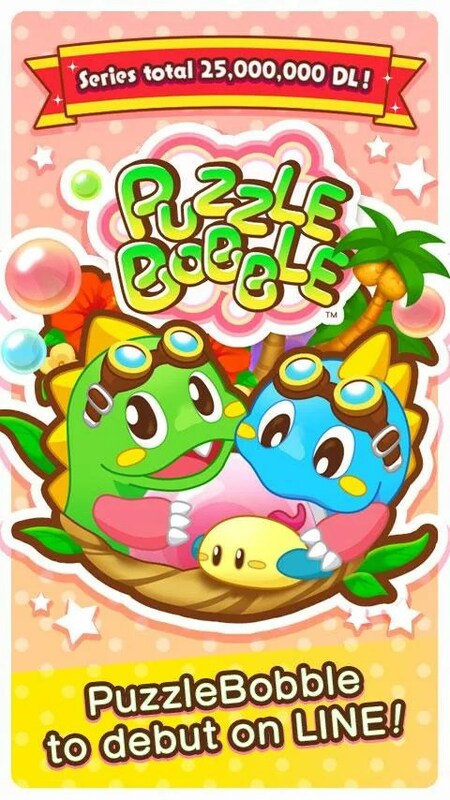 Puzzle Bobble is a bright and colorful game with lots of pop and sparkle to lure you in, but it's a shame about the long download time and forced connection to your LINE acoount.